Do you have clothes in your closet that still have the price tag on them? Can’t seem to find anything to wear? Take control of your personal style by creating an image that expresses the real you, from the inside out! 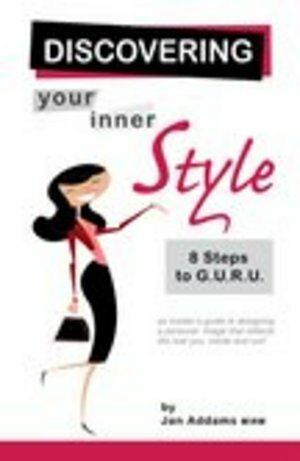 Author Jan Addams, has designed a brilliant, personal style system that incorporates Eastern and Western Style Strategies to make it easy to sort, organize and choose items that bring out the best in you. This book will have even the most fashion challenged, looking like a million dollars. Discover which styles enhance your body shape, personal flair, colour group and attitude. Choose make-up that suits your mood, and then match this to your wardrobe and accessories for a knockout look. Take a sneak peek into how your co louring, body shape and personality create your unique interior decorating style. Jan Addams does an excellent job of guiding her reader through the mine field of discovering their inner style by incorporating their physical characteristics with their personality and attitude. Discovering Your Inner Style helps them to present an image that truly reflects who they are with self-assurance and authority.